Someone may ask, what is the Deck and engine Cadet duties and responsibilities onboard ship? To become a seafarer is very easy and also can be very difficult. 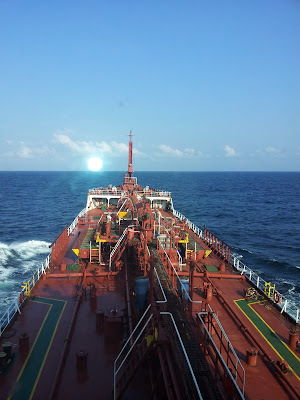 On this article, i will like to list the first steps of any seafarer who wish to work as an officer onboard the ship. Firstly you must have at least an educational degree up to Bachelors(BSc), in any maritime institution. You may ask why you need this if you already technical knowledge of electrical, marine engine navigation, management, etc. This standard has been set up by the International maritime organization(IMO) to make sure that all seafarers are been trained in high standard ways, which help the ship owners to run and maintain their ships in a safety and lost free environment. Shipping has been the world largest and most important way of transporting Cargo from one port to the other, should be protected by training a very qualify personnel’s, who are capable of managing the ship offshore. Difference between Deck and Engine Cadet. Now, while in your educational time, you are expected to attend to a practical training (Cadet), where the already professionals will teach you practically on the field of your studies (Engine or Deck). 3) To execute assigned duties safely, work procedure, to best ability, and report any hazardous condition with the delay to the duty officer. 4) Most diligently follow instructions and structure of onboard training, make sure to complete the task or questions listed on the training/cadet record book. Also make sure you keep up to date of your training record book, ask questions on what you don’t understand to your duty officer. 5) You must actively seek to learn the duties of the ranks(mostly the next rank of yours). Why starting a maritime career as a cadet? To engage with experienced officers and crew aboard to benefit professional knowledge and develop a practical idea. Learning how to perform officers duties aboard ship under the supervision of a licensed senior officer. To be able to participate in an Emergency Response team. Learning more ways to work safely. To participant in all safety meetings, learn from others mistake. Training book filled up and stamped by the master (Deck Cadet) or chief engine ( Engine cadet). Also should go with ship stamp. Seafarer testimonial ( This will indicate how good you were onboard and how your supervisor grades your job ability. CDC to be filled up, showing the ship details, joining and sign off dates. An appraisal should be sent to the head office, which also confirms the same shown in testimonial and more information as per the company’s form. Do you have more to add? are you an experienced seaman who wish to help the young maritime professionals? join the discussion and drop your comment on points cadets should know.